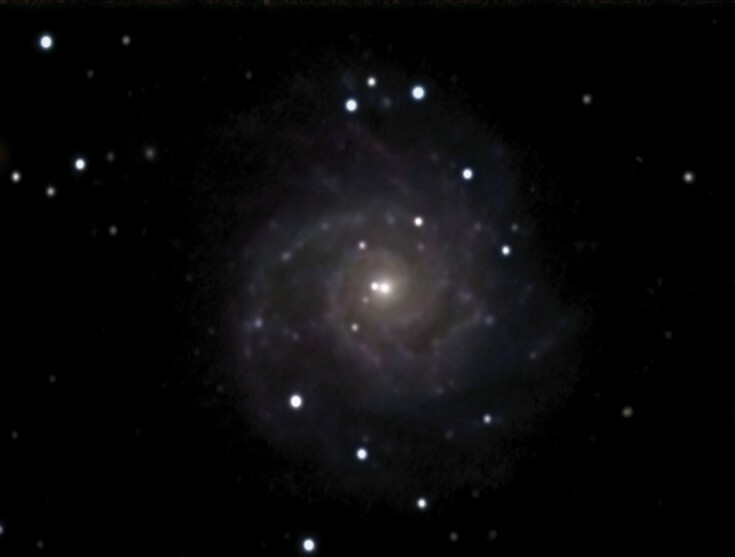 This spiral galaxy in Pisces was discovered by Mechain in September 1780 and Messier observed it on October 18, 1780. At the distance of 32 million ly, it is 97,000 ly across. 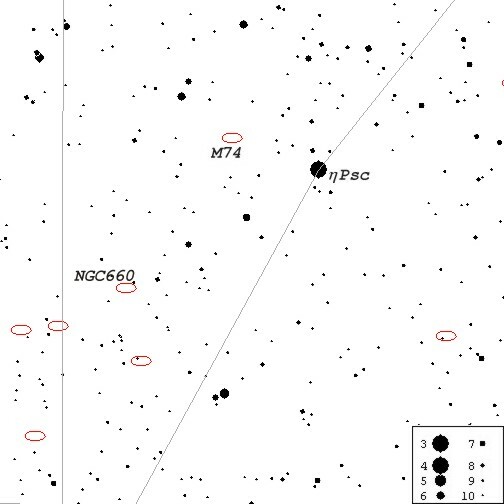 M74 can be spotted 1°20' NEE of h Piscium (see finder chart below). It is the fist object and the toughest one to find during Messier Marathon. On photographs or CCD images it resembles M101 in Ursa Major. The above image was taken on September 27, 1998 from Sooke, BC. Cookbook 245 LDC CCD camera was used on Ultima 8 f6.3 telescope autoguided with Cookbook 211 LDC CCD camera on piggybacked 500mm f8 telephoto lens. Ten white integrations (240 sec. 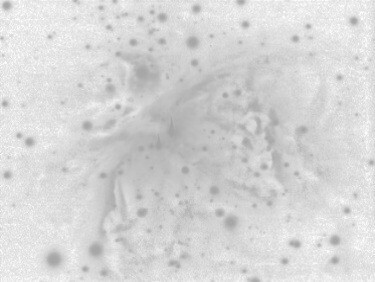 each) as well as cyan, magenta and yellow-filtered images (6 x 240 sec. each) were combined with AIP4WIN. This image was further adjused in Lab color space using Corel PhotoPaint 8. Map created in Guide 7.0 - 7°45' x 7°45'. North is up.